Epicr. Myc. p. 320. 1838. Cap 3-7 cm broad, convex to plano-convex, often with a low umbo; margin inrolled at first, hairy with yellowish granules; surface viscid when moist, white with scattered yellow granules, the latter concentrated at the disc; flesh thick, soft, white. 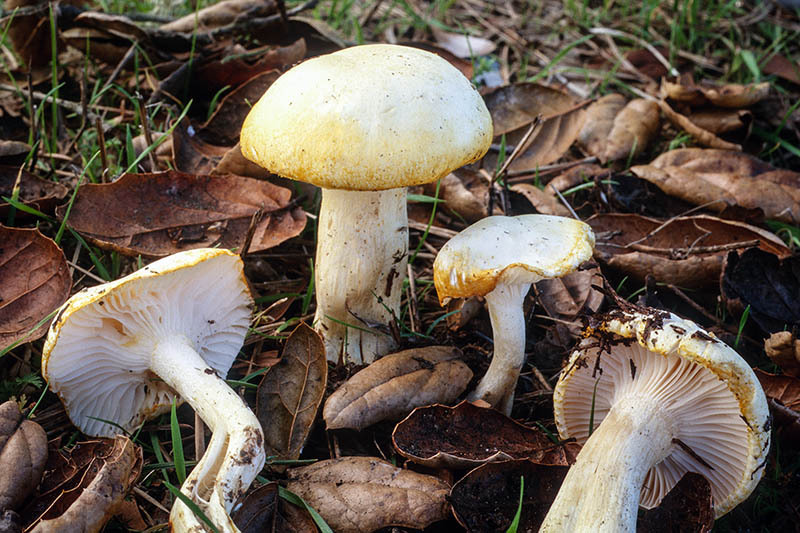 Gills decurrent, distant, waxy, white, sometimes with scattered yellow edges. Stipe 2.5-7.0 cm tall, 0.5-1.3 cm thick, equal, viscid, yellow above from adhering yellow granules, white below. Spores 8-10 x 4-5 microns, elliptical, smooth. Spore print white. Solitary, scattered to gregarious in mixed hardwood-conifer woods; fruiting from late fall to mid-winter. Edible according to the literature, but untried locally. 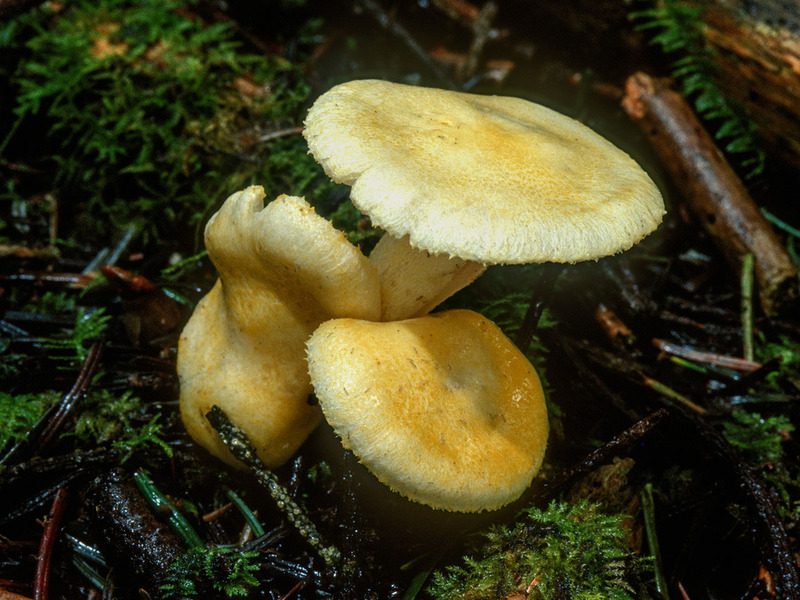 Sporting a white, viscid cap decorated with yellow granules, Hygrophorus chrysodon is one of our prettiest and easiest to recognize mid-winter mushrooms. 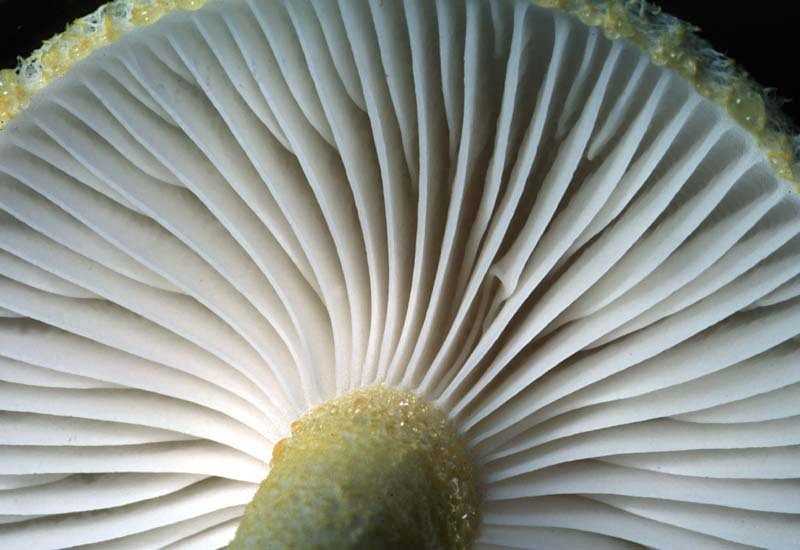 For the beginning mushroomer, the widely spaced, waxy, white decurrent gills and white spores will help to identify this mushroom as belonging to the genus Hygrophorus. The distinctive yellow granules may weather away in age, especially those on the cap, but usually persist on the stipe apex.